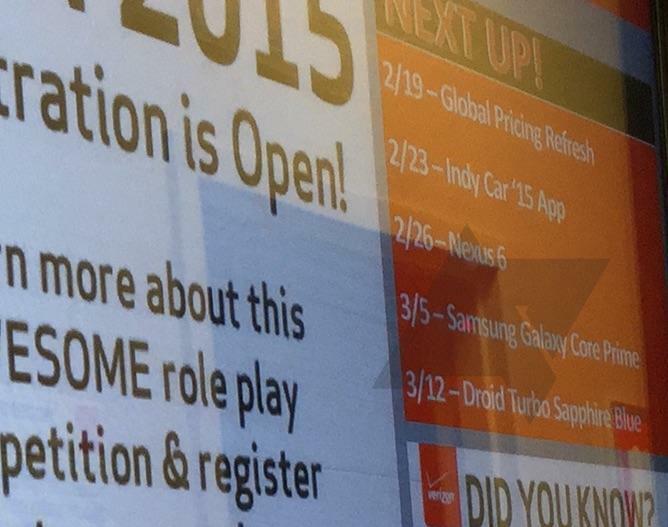 A supposed slide from an internal Verizon presentation made its way onto the Internet, revealing the carrier’s Nexus 6 plans (and some other plans, too). 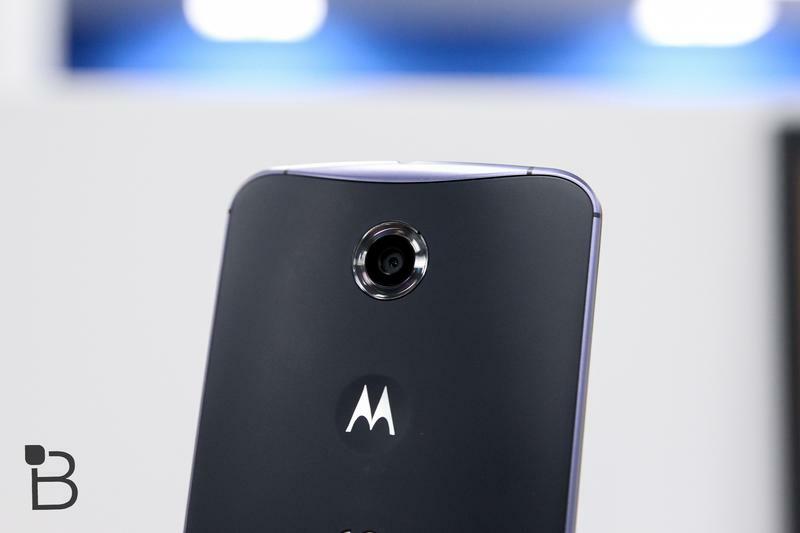 Verizon’s site has been quietly teasing the Nexus 6’s imminent arrival, and we actually got a glimpse at what the branded device would look like when it becomes available. But all that teasing will stop soon enough, as it looks like the device will hit just before the month is up. The slide says the Nexus 6 will be available Feb. 26—a Thursday—which means you have about three weeks to go until you can get your hands on the device. It’s been three months since the Nexus 6 became available, and it’s held up very well. Too bad the device is so difficult to find. I don’t imagine Verizon will have stock overflowing from its shelves, so it’s probably best to order the Nexus 6 as soon as the carrier makes it available. Verizon will also offer a device called the Samsung Galaxy Core Prime, a low-end phone released in international markets late last year, along with a sapphire blue DROID Turbo. You know, if the black and red options aren’t your thing. Some sort of global pricing refresh is also listed for Feb. 19, so we’ll keep our eye out for that once it hits.